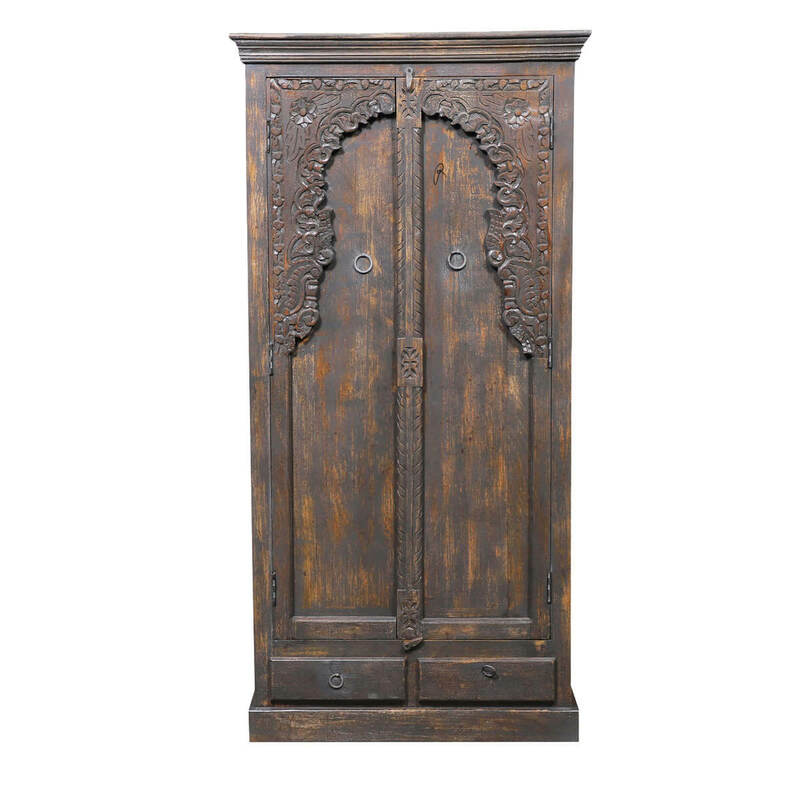 For those who enjoy antique looks and traditional aesthetics, our Sheyenne Heritage Door Reclaimed Wood Furniture Tall Storage Cabinet would be a dream come true. 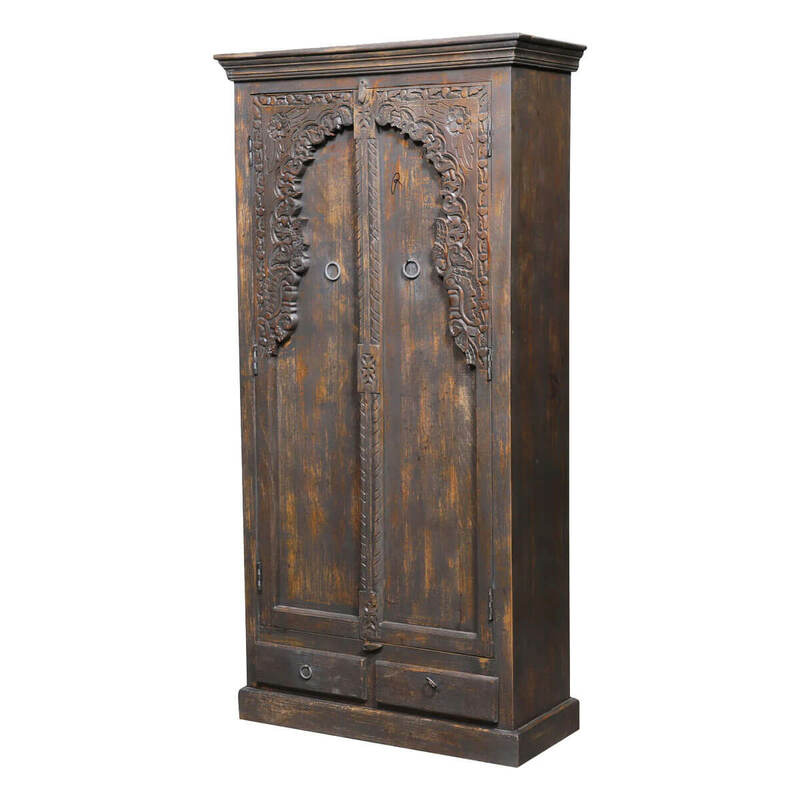 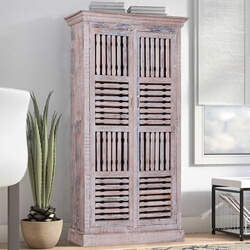 With its dark distressed finish, charismatic looks, and gorgeous visuals, this rustic storage cabinet would make an instant statement wherever it is placed. 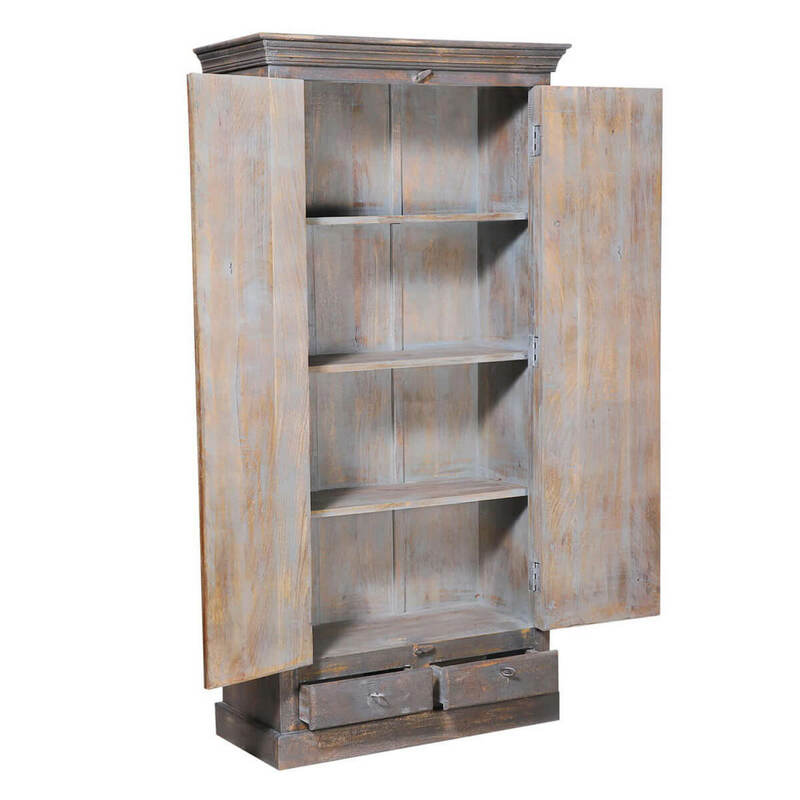 What’s better is that it has been handcrafted from durable solid reclaimed wood, and ensures an excellent heirloom quality. 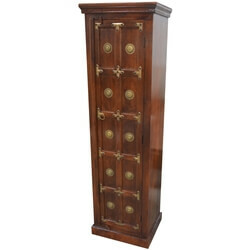 Its design is reminiscent of the classic era aesthetics. 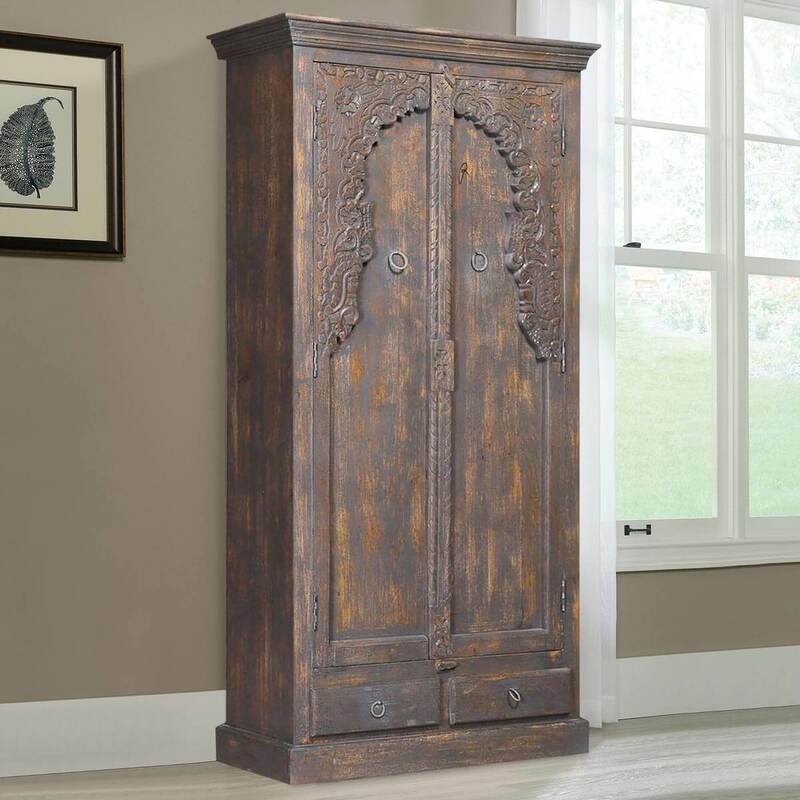 Starting off with a top frame shaped like a crown-molding, the main body comprises of tall cabinet doors with a multifoil arch that is divided onto the double-door leaves. 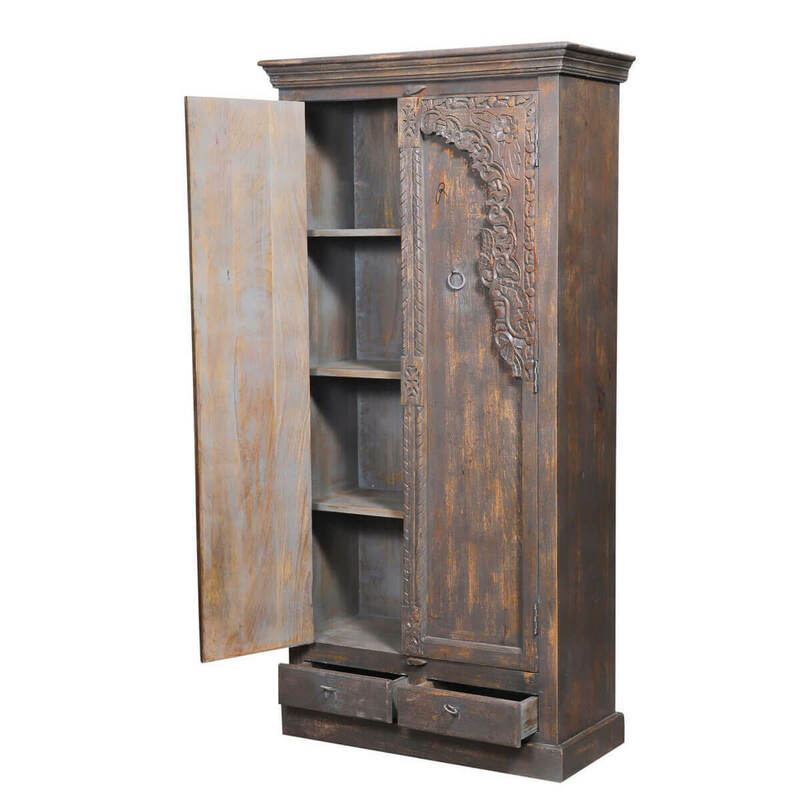 The top of this arch features hand-carved abstract and floral designs while the bottom half is totally void of any embellishment saved for its gorgeous distressed wood finish. 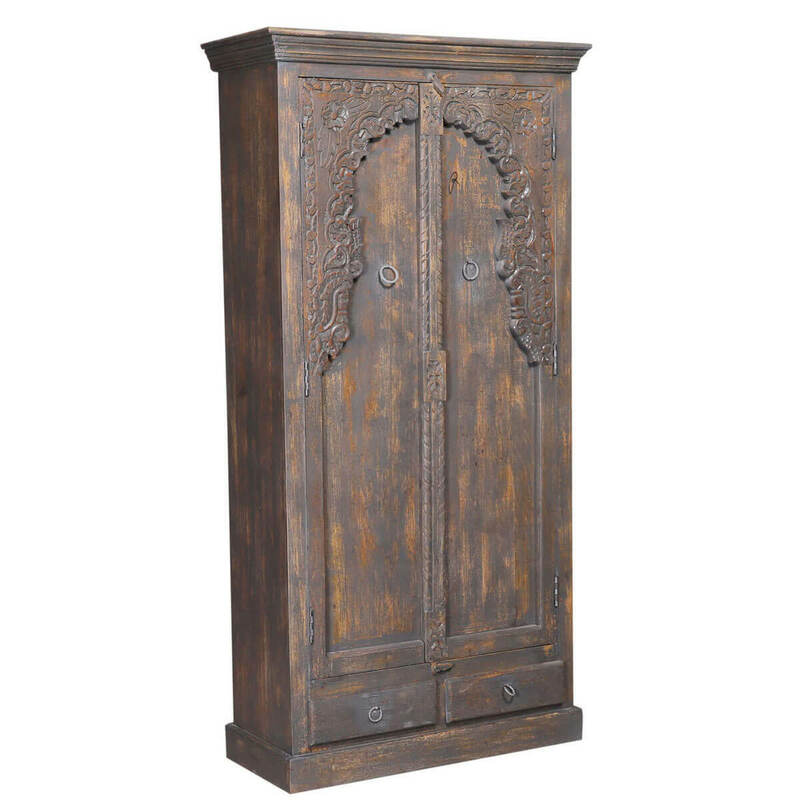 The cabinet armoire opens up to reveal 4 large shelf compartments on the inside for you to store your belongings. 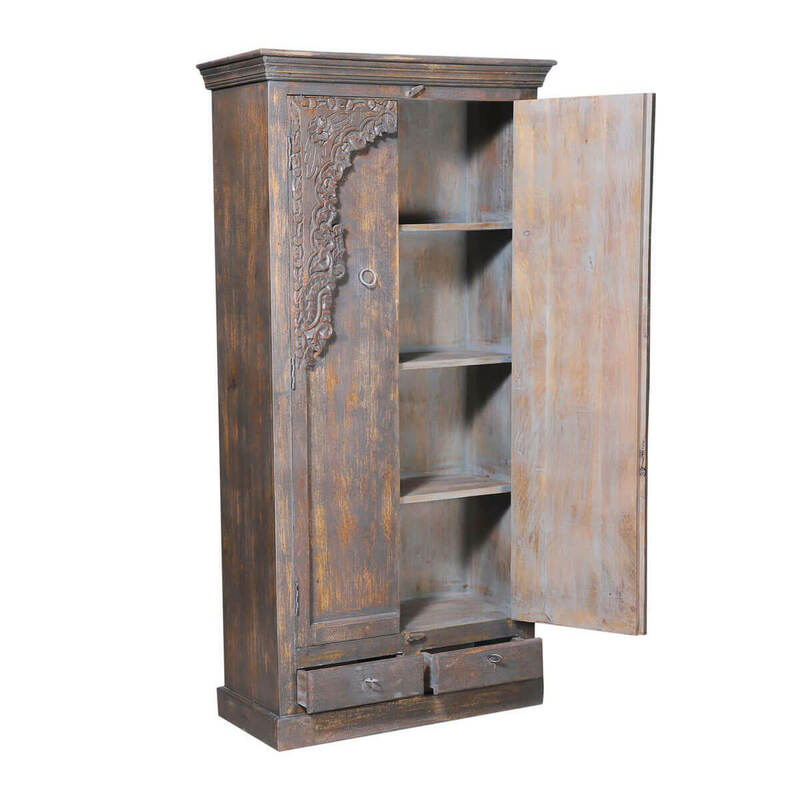 There are also 2 pullout drawers leading to a stylish platform base. 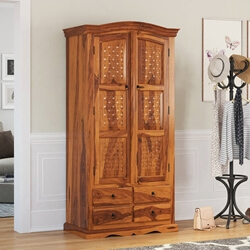 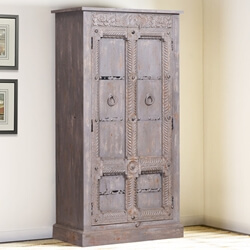 Despite offering a very unique palette of visuals, this solid wood armoire is flexible enough to be featured in a number of interior design styles, including but not limited to rustic, traditional, vintage, midcentury modern, eclectic, and more.